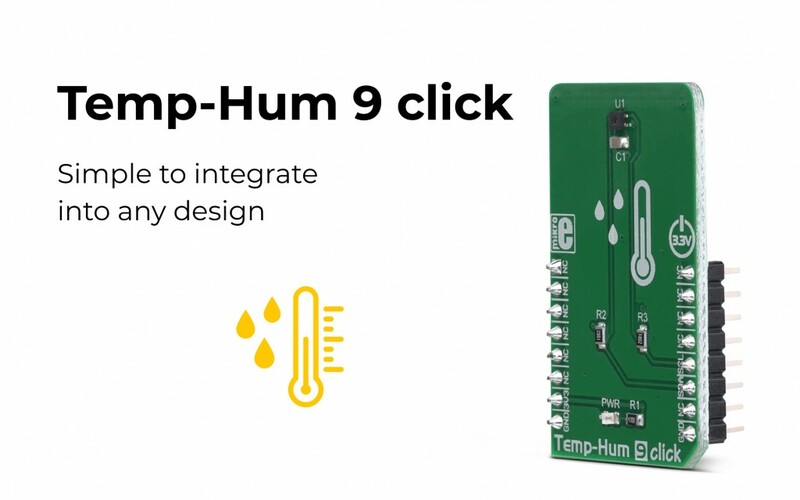 The Temp-Hum 9 click is a smart temperature and humidity sensing Click board™, packed with features that allow simple integration into any design. It can measure a wide range of temperature and relative humidity values with high accuracy. Featuring good reliability over time, high accuracy, and low hysteresis, it is an ideal solution to be used in various temperature and humidity related applications. What is the Temp-Hum 9 click a perfect choice for? For more information about the Temp-Hum 9 click, please visit our website.